The discovery of a dead body in Jefferson County Zoo’s new Wetlands exhibit turns the life of Horticulture Curator Samantha Clark upside down. Worse than that, she and her Hort tech, Jodie, find themselves implicated as possible suspects—until someone runs them off the road in an attempt to see them dead, also. Sam believes she may be on to a trail of clues when she’s approached by one of the zoo’s wealthy private donors in what seems to be an attempt to draw her into the illegal sale of rare and endangered plants. With the help of Dan Saunders, the zoo’s Head of Security, Sam devises a plan to get to the bottom of what looks to be a murder, a suspicious disappearance, and her own near-death. 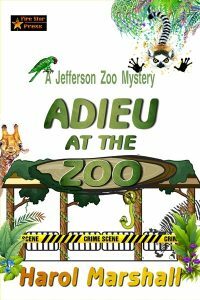 The mystery deepens when one of the zoo’s security guards goes missing. Will another dead body turn up? As things heat up between Sam and Dan, they realize they could lose everything if they can’t solve these mysteries before another murder takes place.